The recent article by Gentil et al. (2017), suggests that resistance training meta-analyses which compare studies with no homogeneous control of the training variables may be inadequate. For example, (Ralston et al. (2017) in their meta- analysis concluded that a medium and high weekly training volume may lead to larger strength gains than using a low weekly volume. Based on the total number of sets performed per each resistance exercise per week, the volume was categorized as low (<5), medium (5 to 9) and high (≥10). Even though Ralston et al. (2017) provide useful information, there are several points that deserve further analysis. The authors did not consider how the training volume was implemented over the week. The training frequency employed in the selected nine studies ranged between two to four times per week (mean 2.8 ± 0.32). Furthermore, both the frequency and the rest between sets were not considered as influential variables. Indeed, the length of the rest period between sets was not even part of the discussion. However, both the frequency and recovery time between sets are very important factors affecting training outcomes and consequently they cannot be neglected. The influence of volume has always been analysed with regards to one individual session and no studies have considered the effect of applying homogeneous volumes using different frequencies over a given period of time (e.g. one week). As a consequence, it is not possible to make a definitive statement if performing 6 sets/week of a given exercise divided into two sessions of 3 sets each, is a better strategy than performing 2 sets over 3 weekly sessions. Additionally, although the response of using multi-joint or isolated exercises was analysed, the influence of difference exercises acting on the same muscle group was not analysed. The rest period implemented was not homogenous. For example, Paulsen et al. (2003) and Reid et al. (1987) provided no clear explanation about the rest between sets, whilst (Baker et al. (2013) used 2 to 3 min and Marshall et al. (2011) 3 min, whilst. Bottaro et al. ( 2009) applied a protocol where sets began every 3 min, with a work rest ratio of ∼ 1:3. It is particularly interesting to note that the study by Rhea et al. (2002) which elicited large differences between a high vs. a low weekly volume training, also used a periodised approach from 8 to10 RM to 4 to 6 RM with a shorter rest period of 1 to 2 min between sets. The interaction between relative loads, repetitions per set, length of the rest period as well as whether the aforementioned variables were integrated using a periodised design can be suggested to need further considerations before proceeding with study comparisons. The possibility of providing accurate estimates of the effect of resistance training based on the control of only one variable without considering the inter-relationships between all the variables affecting the training design and the expected outcomes is clearly problematic. As highlighted by Gentil and colleagues (2017), meta-analyses usually combine studies that, although matching the inclusion criteria, still have important methodological differences and consequently can lead to non-practical conclusions. For a meta-analysis to be useful, a large amount of data on homogeneous subgroups under very similar conditions should be included. This does not seem to be the case for resistance training where researchers and coaches are still trying to define basic differences. These differences are related to main training variables such as the intensity vs. level of effort, the influence of movement velocity, or volume in terms of total sets or number of repetitions, frequency per week or microcycle, as well as the appropriate rest period for attaining specific adaptations and the influence of the duration of single workouts. BAKER, J. S., DAVIES, B., COOPER, S. M., WONG, D. P., BUCHAN, D. S. & KILGORE, L. 2013. Strength and body composition changes in recreationally strength-trained individuals: comparison of one versus three sets resistance-training programmes. Biomed Res Int, 2013, 615901. BOTTARO, M., VELOSO, J., DE SALLES, B. F., SIMÃO, R., CELES, R. & BROWN, L. E. 2009. Early phase adaptations of single vs. multiple sets of strength training on upper and lower body strength gains. Isokinet Exerc Sci, 17, 207–212. GENTIL, P., ARRUDA, A., SOUZA, D., GIESSING, J., PAOLI, A., FISHER, J. & STEELE, J. 2017. 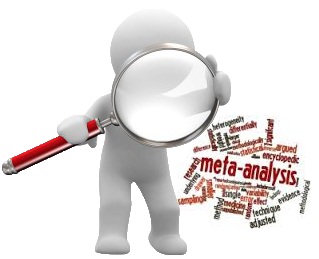 Is There Any Practical Application of Meta-Analytical Results in Strength Training? Front Physiol, 8, 1. MARSHALL, P. W., MCEWEN, M. & ROBBINS, D. W. 2011. Strength and neuromuscular adaptation following one, four, and eight sets of high intensity resistance exercise in trained males. Eur J Appl Physiol, 111, 3007-16. PAULSEN, G., MYKLESTAD, D. & RAASTAD, T. 2003. The influence of volume of exercise on early adaptations to strength training. J Strength Cond Res, 17, 115-20. RALSTON, G. W., KILGORE, L., WYATT, F. B. & BAKER, J. S. 2017. The Effect of Weekly Set Volume on Strength Gain: A Meta-Analysis. Sports Med. REID, C. M., YEATER, R. A. & ULLRICH, I. H. 1987. Weight training and strength, cardiorespiratory functioning and body composition of men. Br J Sports Med, 21, 40-4. RHEA, M. R., ALVAR, B. A., BALL, S. D. & BURKETT, L. N. 2002. Three sets of weight training superior to 1 set with equal intensity for eliciting strength. J. Strength Cond. Res, 16, 525-529.